Have you always wanted to try your luck at programming? Now is your chance to learn Ruby on Rails which is a favourite of beginners due to simple code structure and is also easy to build. Ruby on Rails has a strong support community actively contributing making it a helpful platform for beginners. You can now get a 2-year subscription of Ruby on Rails with an 89% discount. Considered a good choice for first-timers, you can start building completely functional apps using Ruby on Rails. Ruby on Rails programming language covers both the front-end and back-end helping you create complete apps. Get access to 120 hours of courses which you can use to learn this beautiful programming language at your own pace. Sku.io also offers you with a range of practice apps that you can use to train and polish your skills on. Subscribe now, save a whopping $407 on a 2-yr subscription. 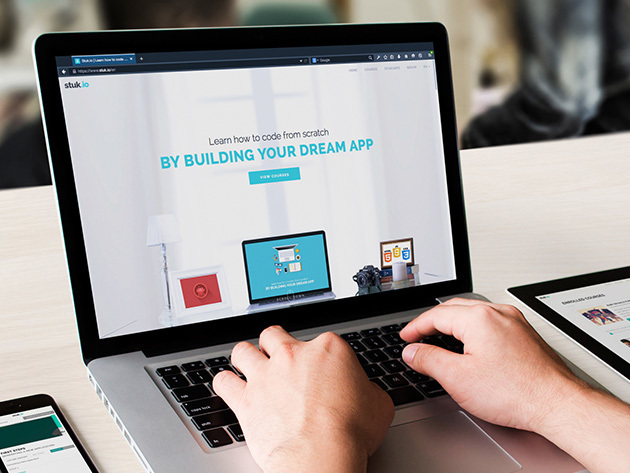 Get started and learn to code to build awesome new apps, social networks, e-commerce platforms, and just about anything that you could think of. Feeling excited? Buy the subscription now.